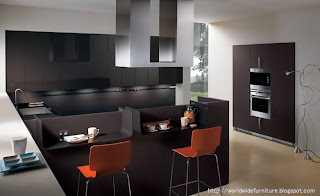 The Modern kitchen Cabinets of the future that adapts to any floor or wall plan thanks to a variety of modules that gives shape and substance to the space by creating segments of varying length to be mixed and matched in order to create endless storage solutions. 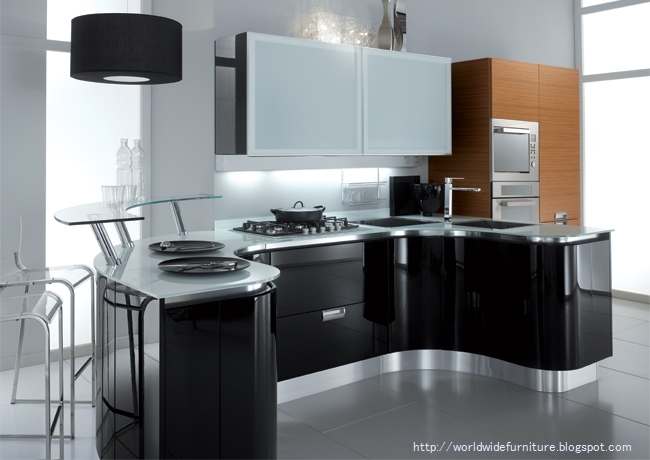 Give your kitchen a trendy touch with glass and steel. You could also try glass-fronted cabinets with steel borders. 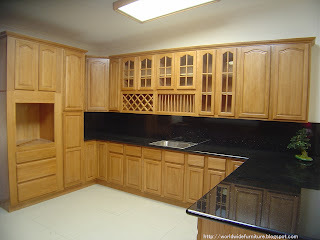 You can laminated cabinet shutters in colours like red, midnight blue, oranges and aquamarine greens are very effective. 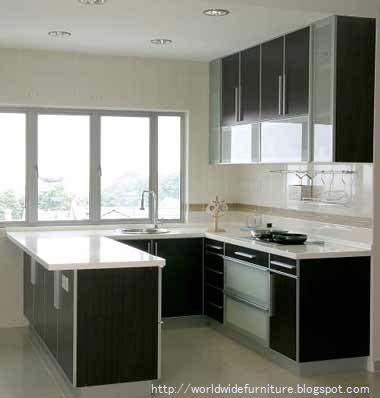 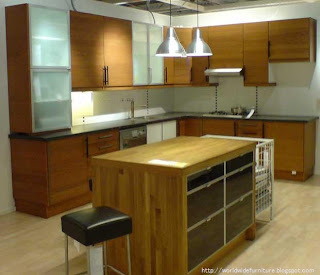 "Coloured laminates give a kitchen a more youthful look. 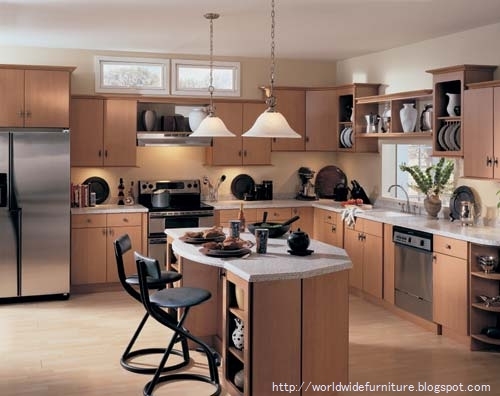 You could complement them with either stainless steel or glass handles."